The term “Concours d’Elegance” means “contest of elegance” and dates back to the 17th century when the French aristocracy would meet in the parks of Paris during summer weekends and parade in their horse-drawn carriages, each decorated more elegant than the next! Over time, carriages became horseless and the gatherings became competitions among automobile owners. 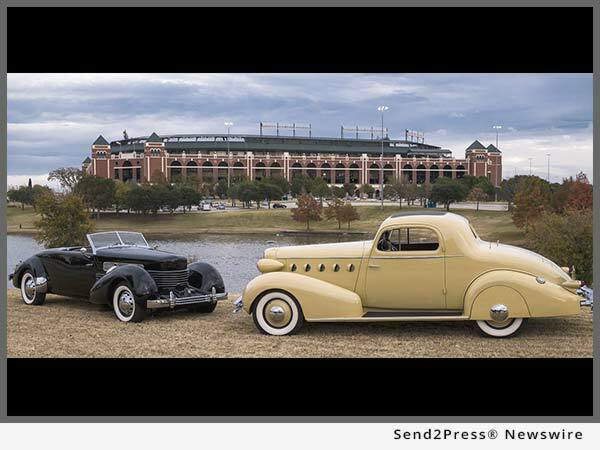 Texas Tour d’Elegance – A motoring tour departing from Globe Life Park. This police escorted tour will take in the sites, history and beauty of North Texas and include lunch at a historically significant location. The Monical Collection Auction – Arlington Convention Center – Worldwide Auctioneers present this exceptional collection of cars Friday afternoon, prior to the evening’s reception. Advance bidder registration available via http://www.WorldWideAuctioneers.com/ or 800-990-6789. The Texas Classic Auction Preview & Cocktail Reception – Arlington Convention Center – Enjoy cocktails and light fare as the Concours d’Elegance of Texas kicks off with an exclusive preview of the great motorcars lined up for Saturday’s Texas Classic Auction. The Texas Classic Auction presented by Worldwide Auctioneers – Arlington Convention Center – An exclusive offering of world-class motorcars will cross the auction block at Worldwide’s 16th annual The Texas Classic Auction. Advance bidder registration available via http://www.WorldWideAuctioneers.com/ or 800-990-6789. Cowboys & Cars Charity Event – Richard Greene Linear Park – Open to all Concours and Auction participants and their families. Meet fellow automotive enthusiasts and enjoy live music in an informal and uniquely Texas celebration under the Texas stars. Silent and live auction items will be available with proceeds benefiting COT charities. 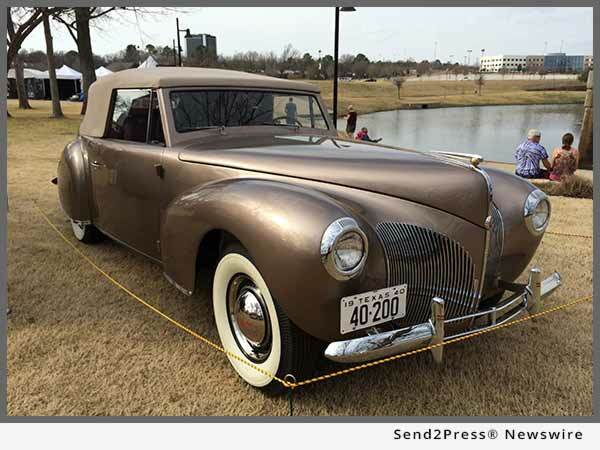 Concours d’Elegance of Texas – Richard Greene Linear Park – Open to the public event, highly recommended for spectators of all ages featuring a world-class gathering of selected vintage motorcars in a glorious lakeside setting overlooking the Caelum Moor Sculptures. The Concours d’Elegance of Texas is a 501(c)3 non-profit and is proud to support Make-A-Wish® North Texas, Arlington’s River Legacy Foundation, Holy Angels Residential Facility, and Next Gen Education Program, as its primary charities. Since 2011, the Concours d’Elegance of Texas has raised almost $2 million for charity. To become an event sponsor, contact Linda Booth at (214) 945-4190. To have a car considered for the Concours, please email Car Selection Committee Chairman Rod Egan at rod@ConcoursofTexas.org or visit our website: http://www.ConcoursofTexas.org/. At the Concours d’Elegance of Texas, our mission is to showcase the finest examples of automotive art and engineering in an elegant setting, and the entire weekend supports three wonderful charitable organizations. It’s a weekend experience dedicated to striking and unusual vehicles, fine dining, and renewing old friendships – all served up with old-fashioned Texas hospitality. The Concours d’Elegance of Texas is a 501(c)(3) non-profit and is proud to support Make-A-Wish® North Texas, River Legacy Foundation, Holy Angels Residential Facility, and Next Gen Education Program, as its primary charities. Since 2011, the Concours d’Elegance of Texas has raised almost $2 million for charity. For more information go to http://www.ConcoursofTexas.org/ or call 817-695-5284. Mike Ames, Chairman of the Concours d'Elegance of Texas commented, "We are genuinely excited about our move to Arlington and look forward to being part of the continuing development of the Arlington Entertainment District." The Concours d'Elegance of Texas is a 501(c)(3) non-profit and is proud to support Make-A-Wish® North Texas, River Legacy Foundation, Holy Angels Residential Facility, and Next Gen Education Program, as its primary charities. Since 2011, the Concours d’Elegance of Texas has raised almost $2 million for charity. At the Concours d’Elegance of Texas, our mission is to showcase the finest examples of automotive art and engineering in an elegant setting, and the entire weekend supports three wonderful charitable organizations.